Two things before we begin: first, I consider Pirates of the Caribbean to be a trilogy, and anything else that has come afterwards is just unnecessary footage that I don’t even want to be bothered with; second, why do film titles have to be different in the UK? I have spent the last few months thinking this movie was called Dead Men Tell No Tales. Get your act together, Disney! Because of what I just said, my opinion on this fifth installment is that the plot and the overall result is a bit meh. The splendid Javier Bardem always shines as a villain, but here he was underused. The plot was a bit flaky and the dialogue, though witty as usual, could have been better. Jack Sparrow has officially become a full-on drunk instead of the lovable goofball (albeit sometimes drunk) that we all love. And the two new lovebirds, Henry (Brenton Thwaites) and Carina (Kaya Scodelario), have zero chemistry and seem two-dimensional, made all the more sad when you remember how great Orlando Bloom and Keira Knightley were together, and how well carved the stories of Will and Elizabeth were from the very first film. Don’t get me wrong, this was a truly entertaining film, with plenty of those action sequences that characterise this saga, with a splendid score that takes you back to 2003 and with one of the best things these movies offer: zombie pirates. But when you compare it to the previous films, the quality is not the same, and it can never be – hence why I say that, to me, Pirates is a trilogy that should be held sacred. Sacred! It does have a redeeming quality, though, which is the last ten minutes of the film. If until then I was mentally complaining about everything, this at least made me leave the cinema happy, and it helped tie up all the open plots from my beloved trilogy. Well, let me tell you the plot of this one in a nutshell, so that at least you know what this film is about: first, you have Henry Turner, Will and Elizabeth’s son, who wants to find Jack so he helps him break the curse bestowed upon his father at the end of At World’s End. They also come across a smart and feisty woman, Carina, who keeps a journal her father gave her to find — no one cares what she is meant to find, but the journal has a plot twist. 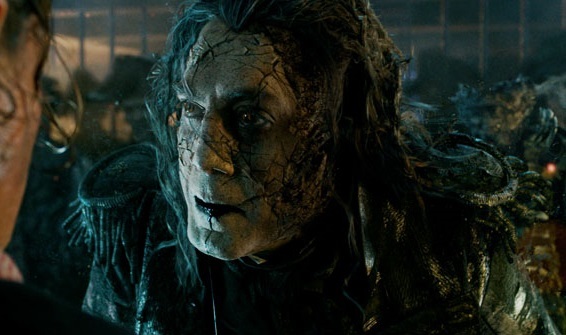 In the meantime, underused Bardem plays Salazar, a captain whose ship and crew went under a spell because of Jack Sparrow ages ago, when Jack still looked like Johnny Depp on A Nightmare on Elm Street. Yup, that’s pretty much the plot. If there is a sixth film (and we all know there will be, even though this looked pretty much like a proper ending), I just hope they use it as a way to tie up loose ends and give everyone the ending they deserve. 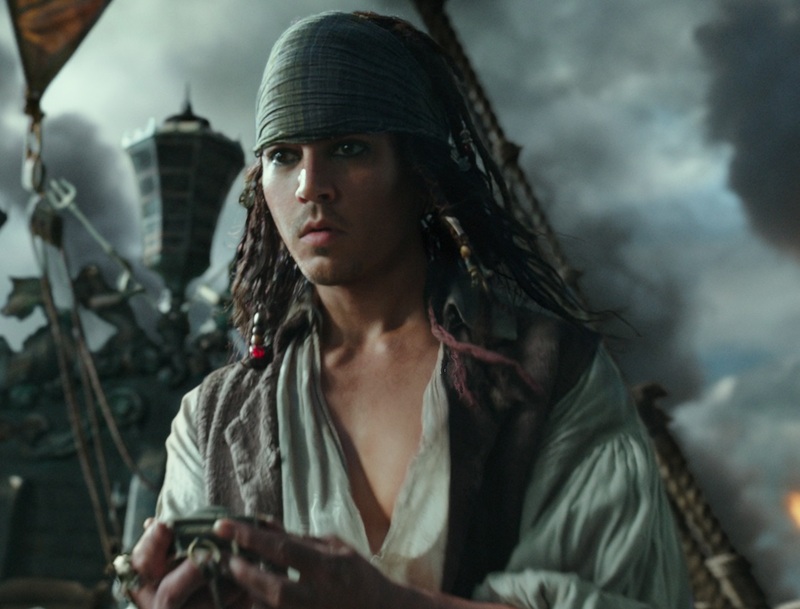 I love Jack Sparrow, but I honestly can’t believe that he looks exactly the same twenty years after the events of At World’s End -how old is Jack supposed to be in each movie? Can someone help me with the chronology here? Now, if you’ll excuse me, I need to go and watch The Curse of the Black Pearl for the millionth time. PS. I love the way Bardem says “Hola, Sparrow,” with an accent that sounds a lot like the one from the area of Spain where I’m from. Exactly! How old is Jack Sparrow supposed to be? I lost track of the plot a few films ago so I was actually wondering if he was immortal when I was watching this one.